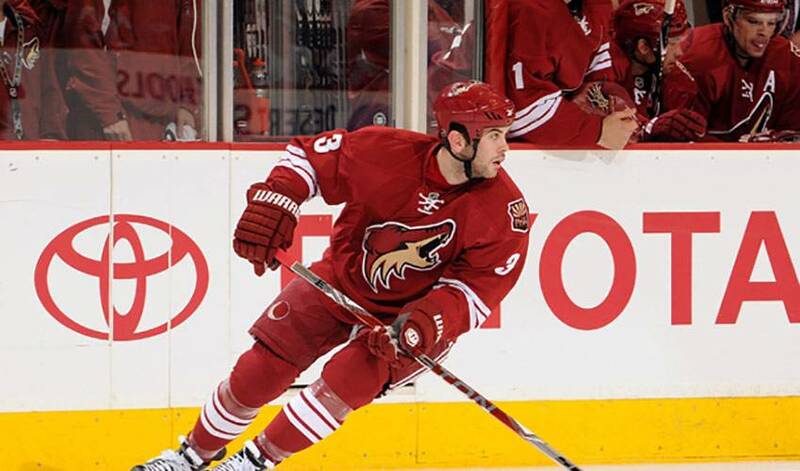 Young defenceman a crucial part of the success enjoyed in the desert by the Coyotes in 2009-10. Following a tough Game 7 defeat to the Red Wings in Round 1, Yandle will suit up for the United States in the upcoming IIHF World Championships. You don't necessarily have to watch one of hockey's most talented young defencemen during one of his shifts to fully appreciate his passion for game. While their time together was brief, Edwards found out plenty about Yandle. Edwards quickly learned that Yandle's exuberance wasn't solely confined to certain moments during a game, but rather throughout the entire 60 minutes or longer experience. “If you get the chance, it's interesting to watch Keith the whole night,” said Edwards, who took over the head coaching role in San Antonio in 2009-10. “If you score a goal, he has a huge reaction and at the end of the game, if you win, he's having a blast. This is a player that if he could play 50 minutes a night, he would. A game, viewed by many, that is extremely impressive despite just over 200 games experience at the NHL level. Yandle appeared in his first NHL game on October 11, 2006 against the Detroit Red Wings and logged 20 minutes of ice time. He attended Cushing Academy and was slated to attend the University of New Hampshire where his brother Brian played from 2002–06. Yandle decided to forgo his college eligibility and instead suited up with the Moncton Wildcats of the Quebec Major Junior Hockey League. Playing in 66 games in 2005–06, Yandle recorded 25 goals and 59 assists for 84 points. The Wildcats won the QMJHL championship and Yandle was honoured with the league's Emile Bouchard Trophy (best defenceman) and Telus Trophy (defensive player of the year). That was more than evident in Yandle's first NHL playoff game on April 14. He scored the first goal for the Coyotes against the Detroit Red Wings in their Game One Western Conference quarter-final matchup to tie the game at 1-1. Yandle later added an assist and was named one of the game's three stars. Package his on-ice impact with a winning personality and it's easy to see why Yandle, at just 23 years of age, has already become one of the most popular players in the Phoenix dressing room. And that love for the game has never been more apparent. With his unique blend of talent and character, Yandle, who had 41 points, including 12 goals, in 2009-10, has no need to worry about a short-term NHL career. His former coach will tell you the best is yet to come. And perhaps one of hockey's happiest, too.